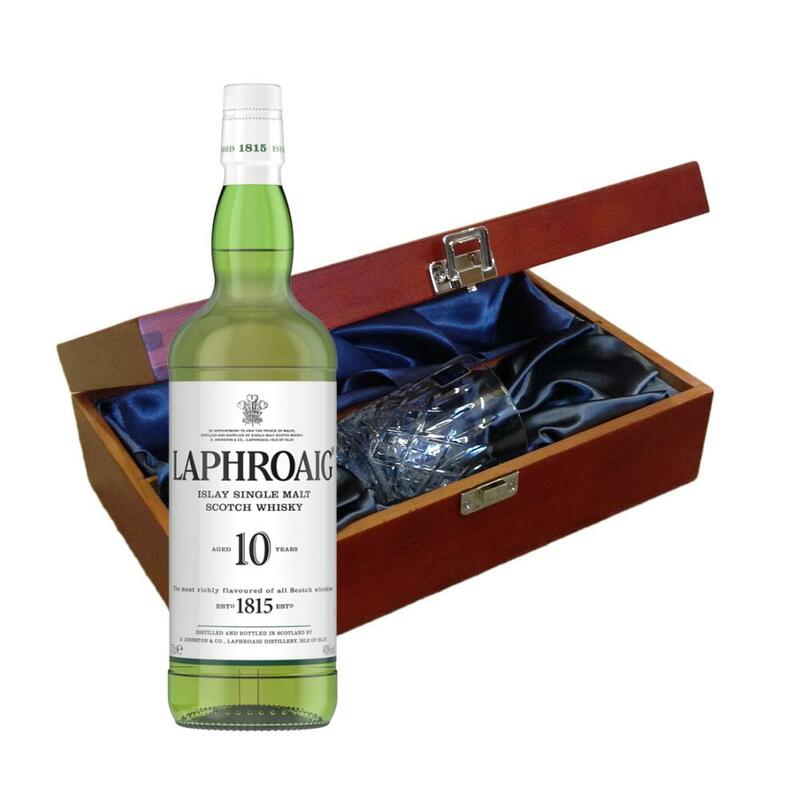 Send a bottle of Laphroaig 10 year old Malt 70cl wine in a lovely box beautifully stained featuring traditional joins with hinged lid and clasp fastening. Along with a beautiful hand cut lead crystal Royal Scot glass. All gifts come with a gift card with a message of your choice. Laphroaig 10 year old Malt - This single malt from Islay has a pungent earthy aroma of blue peat smoke and the sweet nuttiness of the barley blended together to create a unique flavour. Laphroaig Malt Whisky is distilled in the Islay region of Scotland. Laphroaig (pronounced la-froyg) is one of the most distinctive of all malt whiskies. This product is hand packed onsite by Gifts International, and is not affiliated with any other brand. Gifts International is responsible for this product combination/set.